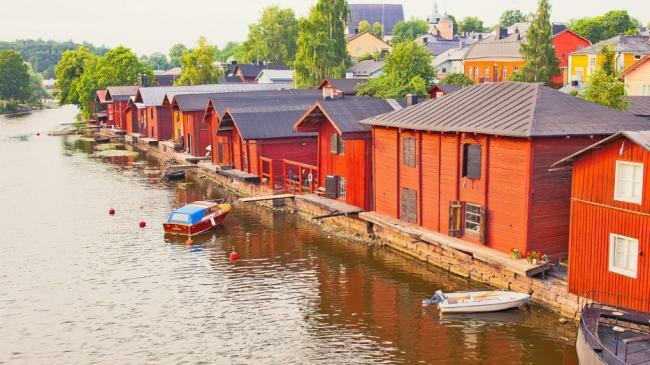 Founded nearly 800 years ago, Porvoo is the second oldest city in Finland and evidence of its long history can still be seen and felt as you walk its charming streets. For centuries, the city has served as both a home and a source of inspiration for many Finnish artists. Located about 50 kilometres east from Helsinki, it is possible to travel from the capital to Porvoo by by steamboat in the summer. Even though Porvoo is not exactly a coastal town, it is connected to the Gulf of Finland via the Porvoo River. Porvoo Cathedral, located at the heart of Old Porvoo, is one of the city’s most well-known buildings. Built at the turn of the 14th century, the cathedral’s remarkable history has seen it burn down five times, most recently in an arson attack in 2006. Following the devastation, the cathedral was renovated for two years, finally reopening to the public in 2008. When it comes to delicacies and home décor, Porvoo is definitely one of the best destinations in southern Finland. Already by the 19th century, people travelled from as far as Helsinki to visit the city’s cafés and restaurants. The city’s intimate interior design shops are famous throughout the entire country, with styles varying from antique and romantic to modern and state-of-the-art.